Micro Machines: Where’d They Go? I had so many of these tiny little cars, and trucks, and planes, and ships. I loved Micro Machines. All of a sudden it seems like one day they vanished. Without a trace they were no longer in stores. 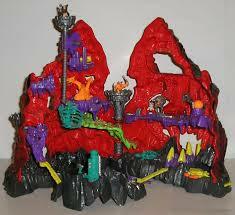 I couldn’t find them at Toys R Us, Walmart, Kmart, KB Toys, or anywhere. I was devestated. A few years later, as I accumulated some on eBay from the ones I lost as a kid, I noticed online that in 2006 they were canceled. They were canceled by the now defunct Galoob company. Hasbro owns the rights right now and have yet to set a release of anything new. I noticed some repackaged Micros at Walmart in the Discount Toy section of the “Gift Idea” area, but they are just not the same. No matter who puts tiny scale cars out, there will never be anything like opening a 5 pack of Micro Machines. Head on out to your local Comic Book Shoppe and check out a number of Amazing Comic Book Titles. The normal New Comic Book Day post will be back next week! A bunch of us play Fantasy Football and some of us don’t. It was always boring for some of us to try to sit around and talk to each other in between some of us talking about Fantasy Sports. So we decided to do something about it. We combined the best of both the Fantasy Sports and the Comic Book world to create: Fantasy Justice League. It starts out very similar to Fantasy Football in that you have a draft to set your rosters. You can pick from anyone in the known comic book universes. You have roster positions on your team such as: Leader, Magic, Mutant, Elemental, Villian, Acrobat, Rogue, and Heavy Hitter. You hold a draft based on number of players in your league and you each take turn choosing a character that fits these categories. You can choose how long your season goes and if you want to have back up or “Bench” characters to interchange before the weeks starts. You put your players into divisions based on the number of people you have playing. Minimum of 4 players and a max of 12 will make this optimum for fun and enjoyment. Each week you will go head to head with someone in the league based on the schedule that you make up. Points are pretty easy: Appearing on a cover is 1 point for that character. You also aquire points by taking the Number of Pages Your Character Appears On in a book and divide that by Number of Pages in the Book. You add up all of the points for each starting character and you get your weekly total. This is something that we all hope catches on because it was so much fun and we hope to do it again, but it takes a lot of hardwork for the correct scoring to happen. It also takes an honor system of each player to gather their own scores but if you use diehard fans than you will have no problems. Why is Marvel’s Agents of S.H.I.E.L.D. (AOS) single handedly saving Phase 2 of the Marvel Cinematic Universe (MCU)? I’ll tell you why. They are bringing in the demographics that wouldn’t normally watch superhero genres by putting the one-hour procedural on TV and on a network channel none the less. With direct tie ins to the MCU and specifically Phase 2 movies such as Thor: Dark World and Captain America: Winter Soldier. Many fans had a really hard time coming to grips with how the show was going to be. Was it going to be like Lost? Since its on ABC was it going to have twists, and turns, and great storylines? Was it going to be like Breaking Bad, where the main protagonist is an antihero you love and root for? Or was it going to be a big name filled show that through around Disney’s money with cameos out the wazoo? Well since it was a take it slow and easy approach the fan base was overrun with nasty critics from the comic book world wanting to see how badly it would fail and with people who genuinely love the show. The ratings even though they are slowly falling to normal rating lines, has been high for its day and timeslot only losing out to NBC’s old person crack: NCSI procedurals. Every episode from 3 to 5 before the 1 week Halloween break, has been exponentially better. There is character development and laughs and overall greatness to the show. The tie ins to the MCU Phase 2 movies start November 19 when the AOS team have to deal with the fallout from Thor: Dark World’s invasion of the Dark Elves on Earth. I am anxiously awaiting to see what kind of magic they will make. Like the Samuel L. Jackson cameo it will infuse some not-as-much need life into this show with fan boys everywhere. This show has its flaws and is trying to find its way but it is bringing a whole new audience to the table for the MCU Phase 2 and Phase 3 in the future. With AOS the Marvel Movies will only get better and better because now they will have a larger budget to do so. Marvel has done us a favor with AOS and we need to be happy that we have a TV that we can watch and complain about. They are clearly listening since they have already changed some gripes that the fans had on messages boards on the internet. So if you have stopped watching AOS because you are a truist and you don’t think that they should deviate from the source material then you should ask yourself one thing… Don’t different writers have different ways they want to portray characters? Isn’t there an Ultimates universe that have similar characters? The AOS is in the MCU and its contents are alive inside the universe that Marvel has set down and said is their MCU. Why would you want to change something as a purist if it is supposed to be a part of what is already there? What Studio Does it Best? With the huge success of Comic Book themed movies today, there is a big question that is brewing all over; who makes the best Comic Book movies? Is it Sony with the Spider-Man franchise? Is it Fox with the X-Men Universe led by Bryan Singer who is single handedly saving that franchise. Is it Marvel Studios led by Feige and crew who are creating a huge Movie-verse that is ever expanding? Or is it Warner Brothers who have had miss and miss with terrible Superman movies and hokie Batman movies in the 1990′s; but with recent hits such as the Nolan Batman trilogy, and the huge success that was Man of Steel have turned it around and look like that are a major contender for Comic Book movie studio studs. They have all produced disastrous flops such as Fantastic Four (Fox), X-Men: Last Stand (Fox), Daredevil (Fox), Wolverine: Origins (Fox), Spider-Man 3 (Sony), 2 Separate Hulk Movies (Marvel), Batman Returns (WB), Batman Forever (WB), Superman Returns (WB), and let’s not forget Green Lantern (WB) which was panned by many as the worst Comic Book Movie in the 2000′s. But with every flop each studio has also produced gem after gem. X-Men, X-Men 2, and X-Men: First Class from Fox were absolute gold, which isn’t surprising since they were touched by Singer (Midas himself). Spider-Man and Amazing Spider-Man from Sony were chart toppers, Marvel has just a plethora of recent homeruns with the end of Phase 1 and so far all of Phase 2 stuff being goldmines. Warner Brothers and DC Comics have come to play too, with the huge success that was the Nolan Batman Trilogy and the recent success of Man of Steel, they have regained a foothold in great Comic Book movie making. I think we know who does it worst… With what it seems like a passion Fox puts out some poopers with the Fantastic 4 franchise in the 2000′s and now that the reboot sounds atrocious as well. X-Men: Last Stand was so bad that is still leaves a terrible taste in my mouth. Wolverine: Origins butchered almost every aspect of many fan favorite characters, Daredevil was so terrible they got their license for it taken away. Basically everything that Laura Schuler Donner touches turns to crap. But could the studio that makes the worst comic book movies, also make the best? There is no rule against that I guess. If you make such great comic book movies that they offset the horrible ones that you have also produced that is legitimate. Fox has upped the ante with the latest trailers for X-Men: Days of Future Past and with the success of X-Men: First Class and the classic X-Men 1 and 2 all of which is Bryan Singer’s doings. It may be safe to say that even though Warner Brothers/ DC is such a big part of the landscape right now, and even though Marvel is just pumping out Money Makers from Phase 2; Fox may be the leader in Great Comic Book movies. Might Max was a cartoon that centered around Max, a not so adventurous boy who mysteriously recieves a hat in the mail with a note that tells him he is the new “Cap Bearer.” The amazing Rob Paulsen plays Max, because Paulsen. 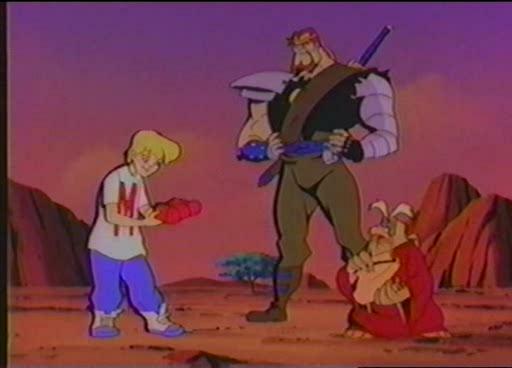 Each episode there was a different quest that Max and his 2 allies Virgil and Norman had to complete to try to stop the evil Skull Master from ruling the world. 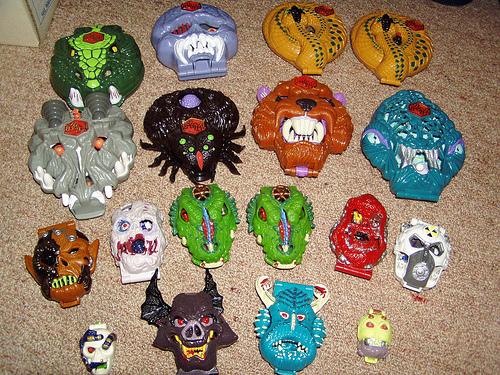 There were 40 episodes over 2 seasons of Mighty Max and well over 25 playsets and vehicles for the Toyline to go with all of the episodes from TV as well as 4 playsets that were in McDonald’s Happy Meals. These were basically the boy equivelant of Polly Pocket for girls. That was from the time where political correctness and marketing said boys get their own toys and girls get their own. 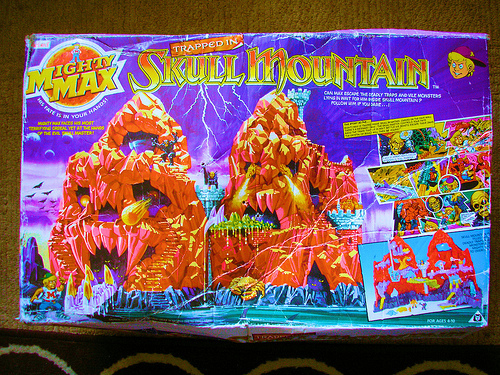 Check out Retro Junk’s Mighty Max Page for an in depth look at many of the Mighty Max playsets. Well this week we do have the recording of the Nerd Management season 2 finale on Thursday night and wow what a season it was! Indiana Comic Con, C2E2, Free Comic Book Day with Mark Waid and Scott Snyder, Indy Pop Con, and E3 were all big for this upstart podcast and Nerdy News Website. However, I do not have any books coming out this week that I am excited for. I am sure that there are many good books that you should look into though such as Original Sin #4 and Avengers #31 or also X-Men #15 and Uncanny X-Men #22. I think that both sets of books would be a good read, its just not anything I am going to spend money on myself this week. I normally would but I have a little thing called Florida to do. I have my Comixology on the Kindle Fire HD and ton of Orange Kickstarts in the cooler and we are headed down to paradise for a week. So before I go I guess I could rant for a few… Why would I choose Comixology over paper comic books? I am a nostalgist at heart and I love my collection, so what would make me switch to digital books that are inheritly harder to navigate that a paper copy? COST! Why the Face do they think that people are going to want to pay $3.99 and $4.99 for books that aren’t that much thicker and contain an advertisement every other page? At least with DC if they go to a $3.99 book they are almost ad free. But Marvel (Disney) is switching everyone over on the $3.99 Creep to their new standard of pricing. Its unnerving and on the Nerd Management podcast we talked about what would be the “Cap” for buying a book? 4, 5, 6 dollars per book? Mine is $5 and I will not pay a penny more. It started with Arrow. The current formula for great comic book TV started 2 seasons ago when Stephen Amell was cast as the titular protagonist on the CW’s new show Arrow based on the Green Arrow from the Detective Comics brand owned by the same company that owns the CW. Season 1 of Arrow was up and down, they were trying to find their wheelhouse and trying to find what type of audience they were going for. They were compared to Smallville that was also on the CW a few years prior. It wasn’t a fair comparison (much like Agents of SHIELD compared to the now hugely popular Arrow) but the comparisons were still there. 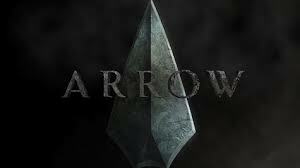 Season 2 of Arrow was a huge hit, they did it! A great fan base with a big online following and great DVR ratings numbers according to Nielsen Polls. So now what does DC Entertainment do? What else could they do that would get their new “Brand” out there for the world to see? Well Marvel was putting together their “Phase 3” of the MCU and DC was secretly building the DCMU, but they had something else Marvel didn’t have; a hit TV show. Marvel has Agents of SHIELD and its was panned its first season even though being brought back for a second, and they have the Netflix shows that come out in 2016 but with the already established Arrow and the hugely popular Flash coming to the CW, DC is set for a big win. 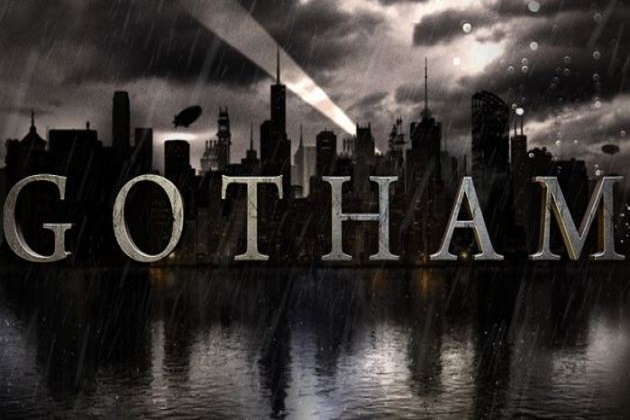 DC has Gotham coming to FOX, The Flash coming to the CW, and Constantine coming to NBC this fall. All 3 have been widely praised by early viewers of all 3 pilots. I am super excited for all 3 of them even though Gotham scares me a bit, I mean a Batman show without Batman seems counter productive. The premise and the reviews though make it seem like they are doing it very well and it will be a great watch. Arrow ended so well, and had a great cameo of The Flash himself Barry Allen in the season. The set up for season 3 was really solid. The preview for The Flash show was solid as well. 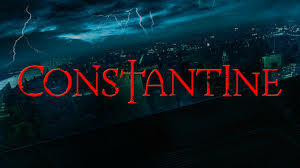 The trailer for Constantine has been viewed by myself about 10 times, and I am patiently waiting for a good trailer for Gotham to come across the wire. Man DC Entertainment is doing Comic Book TV right. I grew up watching cartoons, and so many of them I lost count. Being older than everyone here at Nerd MGMT I got to hear Casey Kasem voice all of these characters when they were originally on TV. I will never forget him as Shaggy on Scooby Doo. ZOINKS! will stick in my head in his voice for the rest of my life, and that is pretty cool. I loved waiting for Scooby Doo to come on TV and sitting there on the floor watching the TV and laughing so hard. Going back as I got older I would find different shows that Kasem was a part of like Robin from Super Friends and various Autobots in Transformers. I loved hearing his voice and thinking man that sounds so much like Shaggy from Scooby Doo. I never new it was actually him until the internet got really big and I found it out on IMDB.com. 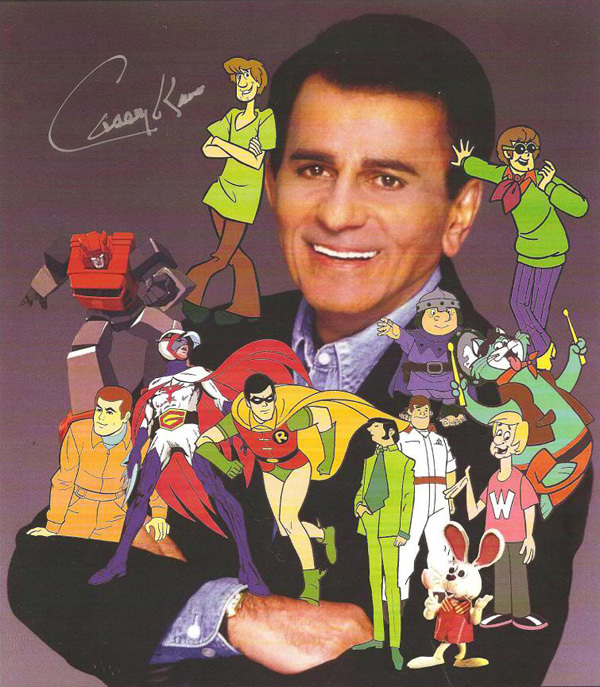 So for me Casey Kasem was an institution for voice acting. He was a big part of my childhood and every Saturday morning for many years growing up I took comfort in his voice coming from my TV set. Thank you Casey Kasem from the bottom of my heart you will be missed.